With a firm but supportive feel the Natural CoCoLoc futon bed mattress makes an excellent choice is you are looking for a chemical free firm sleep. 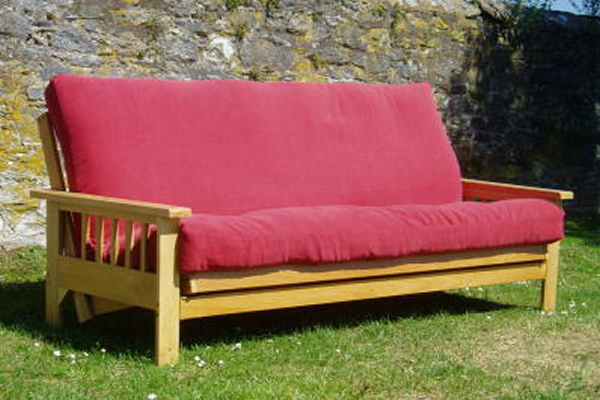 Like all our futon mattresses it is hand manufactured to order down here in Devon. This is an added comfort, great quality, addition to the top of any bed or futon mattress, and fits under the bottom sheet. The soft natural absorbent cotton cover and filling adds luxury and comfort, designed to be washed at high temperatures to remove allergens. Select an option... Single Size 90cm (£69.00) Double Size 137cm (£79.00) King Size 150cm (£89.00) Not required thank you. Our choice of Natural futon mattresses are all UK manufactured down here in Devon using the superb new CottonSafe fabric as an upholstered cover. CottonSafe is woven from a blend of Organic Cotton and Wool which is then quilted over a layer of pure lambswool to provide a fabric which is naturally fire retardant, conforming to UK regulations, without the need for chemical sprays. The Natural CoCoLoc mattress is manufactured for use as an everyday bed mattress in conjunction with a slatted bed base or tatami matting. It is filled with a top and bottom layer of pure lambswool, then layers of cotton-rich felt and a central layer of 'coir' - a natural combination of coconut hair and natural latex rubber. This provides a firm but supportive feel to this particular mattress type. 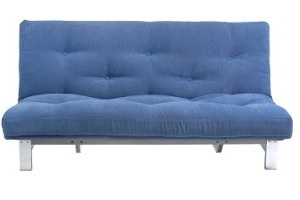 The mattress is tufted through with felt tufts and upholstered in CottonSafe fabric as described above. Suitable as an everyday futon bed mattress used on a slatted bed base or tatami mats - NOT designed for use on futon sofa beds. Available in a choice of three sizes from the menu above. N.B. Please also note that the Carriers are only contracted to deliver to the front door of a premise. Onward delivery to a flat/appartment or any particular room in a house are the responsibility of the purchaser. Traditional 8-Layer Futon Mattress for bed use. Pocket FutoFlex Futon Mattress for bed use. 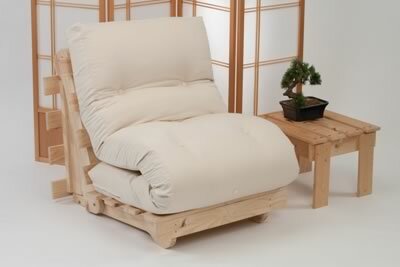 Monk Futon – Traditional futon bed roll. 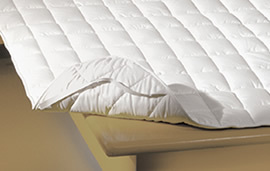 FutoLatex Futon Mattress for bed use.